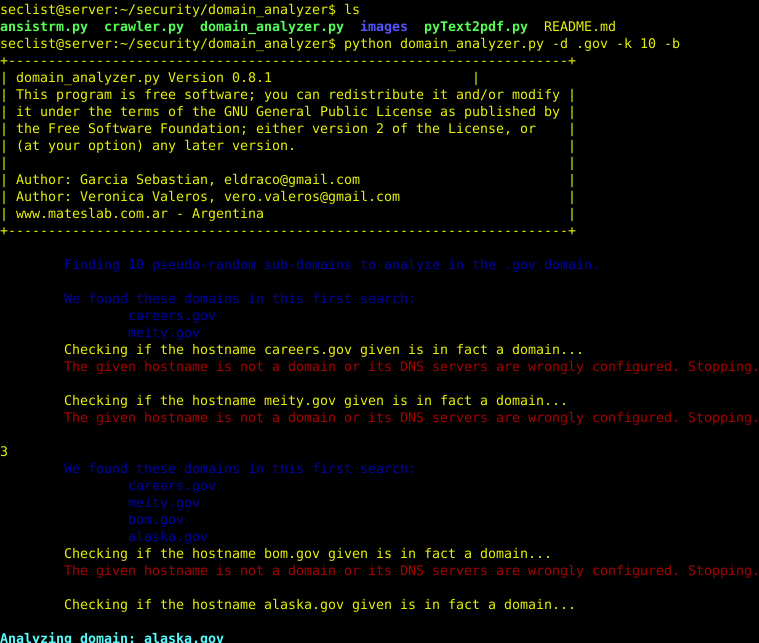 Browse: Home / domain_analyzer – security analysis of any domain by finding all the information possible. 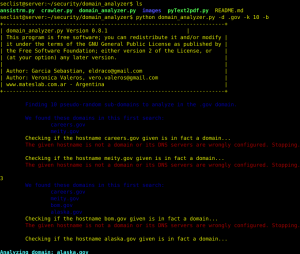 domain_analyzer – security analysis of any domain by finding all the information possible. + Crawl http and https web sites. + Crawl http and https web sites not using common ports. + Uses regular expressions to find ‘href’ and ‘src’ html tag. Also content links. + Identifies domain related emails. + Uses CTRL-C to stop current crawler stages and continue working. — Download every important file (images, documents, compressed files). — Or download specified files types. — Or download a predefined set of files (like ‘document’ files: .doc, .xls, .pdf, .odt, .gnumeric, etc.). + Maximum amount of links to crawl. A default value of 5000 URLs is set. This extended edition has more features! – Robin-hood: Although it is still in develpment, it will let you send automatically an email to the mails found during scan with the analysis information. – Robex DNS: With this incredible function, every time you found a DNS servers with Zone Transfer, it will retrieve from the robtex site other domains using that DNS server! It will automatically analyze them too! This can be a never ending test! Every vulnerable DNS server can be used by hundreds of domains, which in turn can be using other vulnerable DNS servers. BEWARE! 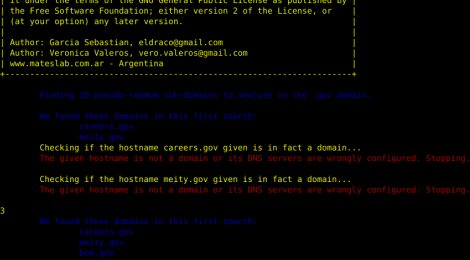 Domains retrieved can be unrelated to the first one. ← shellcarver – Carve shellcode within the memory using restrictive character set.